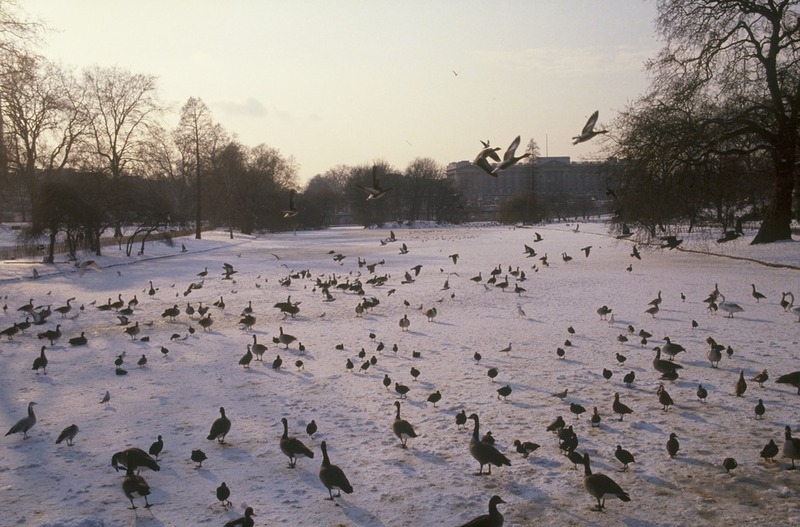 St James's Park, along with Green Park, Hyde Park and Kensington Gardens, forms an unbroken line of greenery that stretches over three miles from the Houses of Parliament to Kensington Palace. The park borders St James's Palace and Buckingham Palace, which means that as well as offering lush peacefulness you're also treated to stunning close-ups of some of the capital's most iconic attractions. One of the park's best views can be had from the middle of the Blue Bridge which spans the park's lake. Stand in the middle and take in the graceful arc of the London Eye, which looms over Duck Island. A true retreat, it's hard to believe that St James's was once a swampy watermeadow in centuries past. Now, rolling lawns stretch out around the lake, which is home to ducks, geese and pelicans. In the summer months visitors can catch a concert, loll in deckchairs or dine alfresco with a picnic or on the terrace of the park's excellent restaurant, Inn the Park. St James's Park gyms, sporting activities, health & beauty and fitness. What are the best dining options near St James's Park London? The best pubs near London St James's Park. St James's Park clubs, bars, cabaret nights, casinos and interesting nightlife. Where to have your meeting, conference, exhibition, private dining or training course near St James's Park. From cheap budget places to stay to luxury 5 star suites see our special offers for St James's Park hotels, including Conrad London St. James from 86% off.